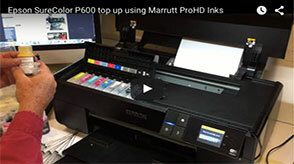 Marrutt ProHD Ink is an almost identical match to the Epson UltraChrome HD inks. 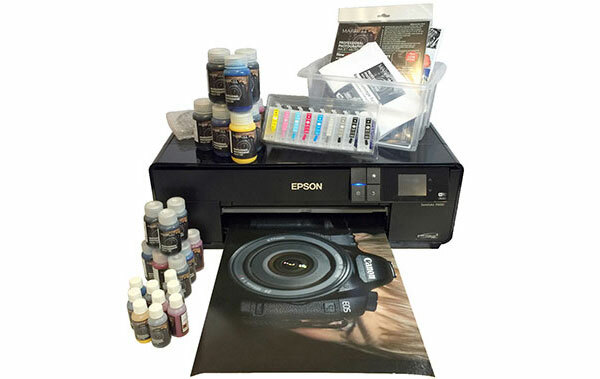 The Epson SureColor SC-P600 Refillable Cartridge System signals the end of expensive disposable cartridges! 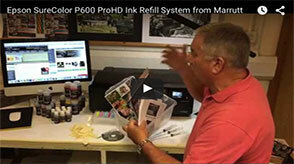 Epson SureColor SC-P600 refillable cartridges work in the same way as OEM cartridges.